Today has been a another hot beautiful day in Lira. 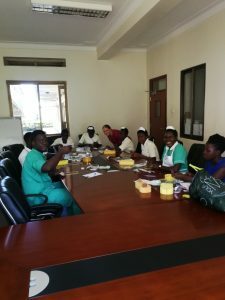 Frankie set off early to Kristina health centre, a two hour drive from our hotel.where she taught a group of 11 midwives and a driver neonatal resuscitation!. Peter and Judy went off to the cultural conference celebrating Langi culture in the morning and had a meeting with Prof Ogwal Okeng (vice chancellor Lira university) in the afternoon … .keep your ear out for the breast lump clinic coming soon!!! Judy and Julie revisited perineal suturing practicals with the students and re-enforced this with a former student. Julie found some lovely new born babies on postnatal ward in the regional hospital and handed out knitted hats. That left all the mothers smiling. 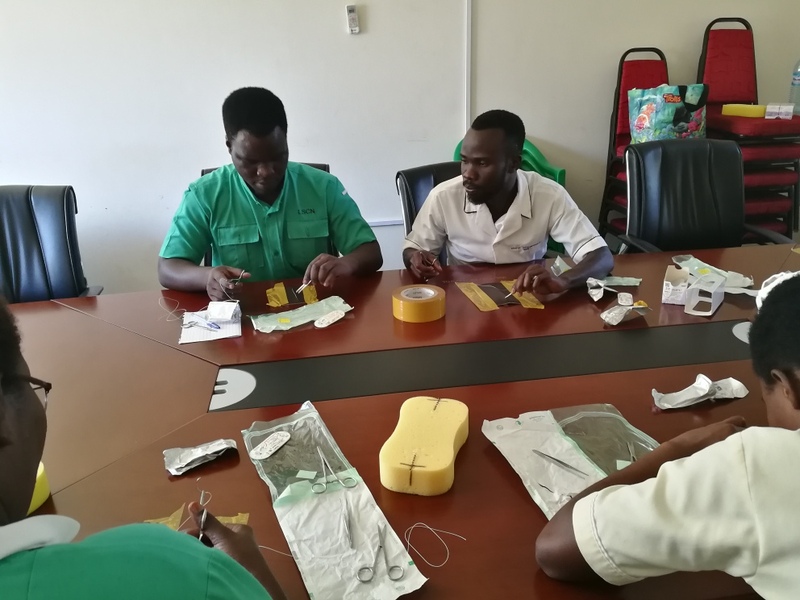 Edwina supervised a wound dressing round with students. Lots and lots to teach about wounds. The keen students are eagerly waiting for more. Eva went to theatre and met with Lira hospital anaesthetic officers Discussed safe anaesthesia practices and regional blocks.